The direct anterior approach to total hip replacement remains relatively uncommon currently. However, the anterior approach is rapidly gaining in popularity because of several advantages over traditional hip replacement procedures, including: shorter recovery time, decreased risk of dislocation, better leg length accuracy and a smaller incision. There are several reasons why this approach is not more widely used. Residency programs traditionally teach the posterior approach, and as a result few residents finish their training with experience performing the technique. 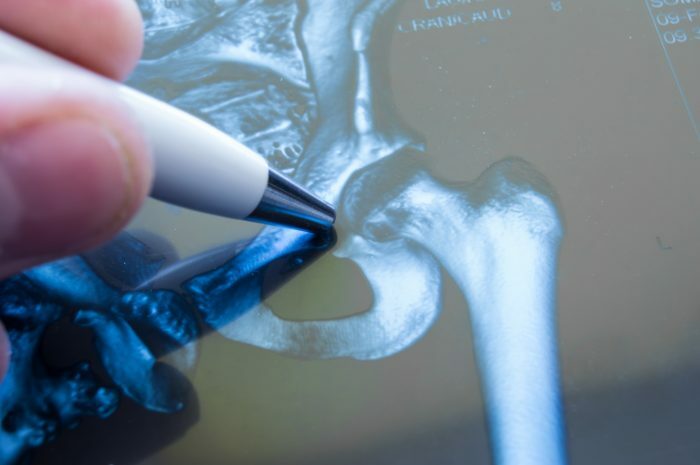 Direct anterior total hip replacement also requires specialized instruments, implants, a specialized operating table, and a high level of surgical skill. The anterior approach involves a surgical incision on the front of the hip instead of the side (lateral approach) or the buttock area (posterior approach). The anterior approach allows the surgeon to gain access to the hip joint through muscle intervals without cutting any muscles or tendons in the process. Because no muscles or tendons are sacrificed during the procedure, the patient typically experiences less pain and is more functional. The result is a shorter recovery—many of Dr. Clark’s patients are discharged home on the same day as surgery. The posterior and lateral approaches to total hip replacement require cutting through very important muscles and tendons. In the posterior approach, the gluteal (buttock) muscles and the very important external rotator tendons are cut. These sacrificed structures are essential for the hip to function. The result is a longer, more painful recovery, a less natural-feeling hip after surgery, and a significantly higher dislocation rate. The typical patient stays three to four days in the hospital. The first direct anterior total hip replacement was performed in Paris, France more than 50 years ago by medical professor Robert Judet. In subsequent years, a small group of French surgeons regularly performed and perfected the technique. It was not until much later that the approach would reach patients outside of France. In 1996, the technique was observed in Paris, France by American surgeon Dr. Joel Matta. Impressed by the reduced rates of dislocation and leg-length disparity, as well as the enhanced rate of recovery, Dr. Matta helped to design a special surgical bed for the procedure and soon began performing the surgery himself. Recognized as the originator of direct anterior total hip replacement surgery in North America, Dr. Matta has since performed more than 3,500 hip replacements using the technique. Dr. Clark is one of the midwest’s most experienced and highly-trained surgeons in the direct anterior total hip replacement. Dr. Matta first introduced the direct anterior total hip technique to Dr. Clark in 2003. Studying directly under the pioneering surgeon, Dr. Clark mastered the technique in several phases. First attending Matta’s early lectures, Dr. Clark later performed several dissections of cadavers one-on-one with Dr. Matta before observing his surgical procedure directly. Finally, the two surgeons traveled to France for continued instruction under the son of the technique’s inventor, Dr. Thierry Judet. Dr. Clark’s first direct anterior total hip replacement patient, in 2005, was Allen Hospital CEO Rick Siedler, illustrating his confidence in Dr. Clark’s surgical abilities. Having previously had one hip replaced using the traditional posterior approach, Mr. Siedler leapt at the opportunity for the reduced pain, reduced recovery time, and minimized dislocation risk that direct anterior total hip replacement offers. For several years after this first procedure, Dr. Clark was one of only two surgeons in Iowa to perform the procedure. To date, Dr. Clark remains one of the most experienced and highly-trained surgeons performing the procedure in the Midwest.